Once seated, the ever attentive dining staff attends to everyone’s needs in a swift and professional manner. 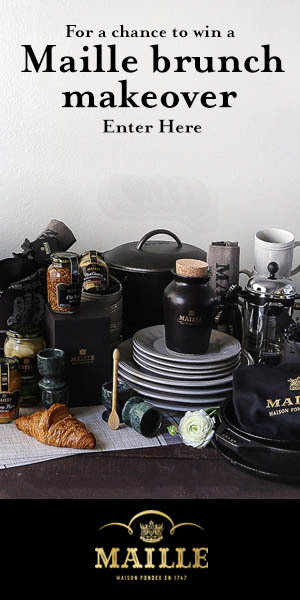 Per Me is tailored fit for every gourmand’s desires from the service to the dishes and to the wine. 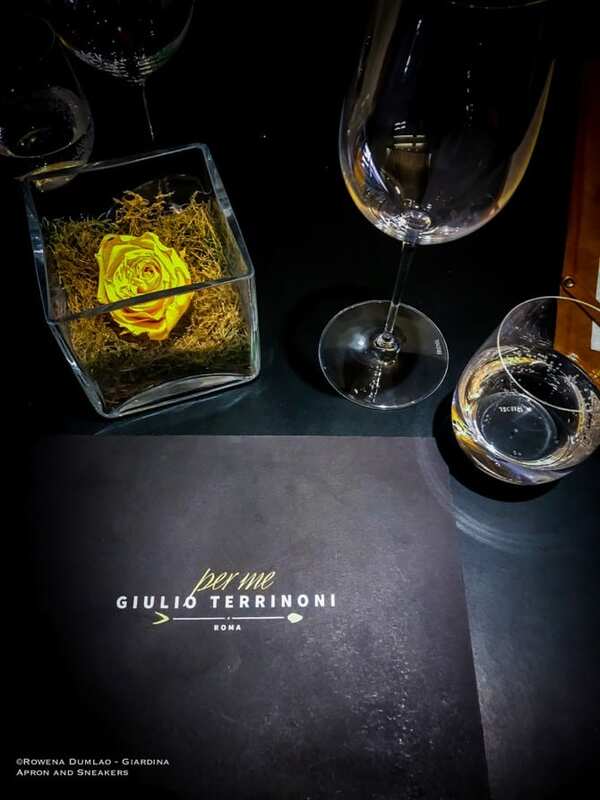 Giulio Terrinoni, born in central Italy in the town of Fiuggi from restaurateur parents, started his first influential experience right in his hometown in the kitchen of Grand Hotel Palazzo della Fonte after attending a Hotel and Management School. This was followed by working at La Torre Ristorante of Antonio Ciminelli where he learned the organization of a premium restaurant. Fabio Tacchella had been quite instrumental in learning the techniques for innovative cooking for Giulio. The fundamental turning point of his career was when Acquolina Hostaria, a high end seafood restaurant in Rome was opened and he took over the reins of the restaurant. Along with the public success was also the awarding of a Michelin Star in 2009. In 2010, Giulio entered the Jeunes Restaurateurs d’Europe (JRE) circuit. 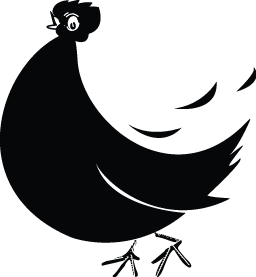 Hard work paved way to success as he published his first autobiographical book L’Importanza del Riccio (The Importance of the Sea Urchin) in 2013 and guest appearances in Italian cooking TV programs augmented. 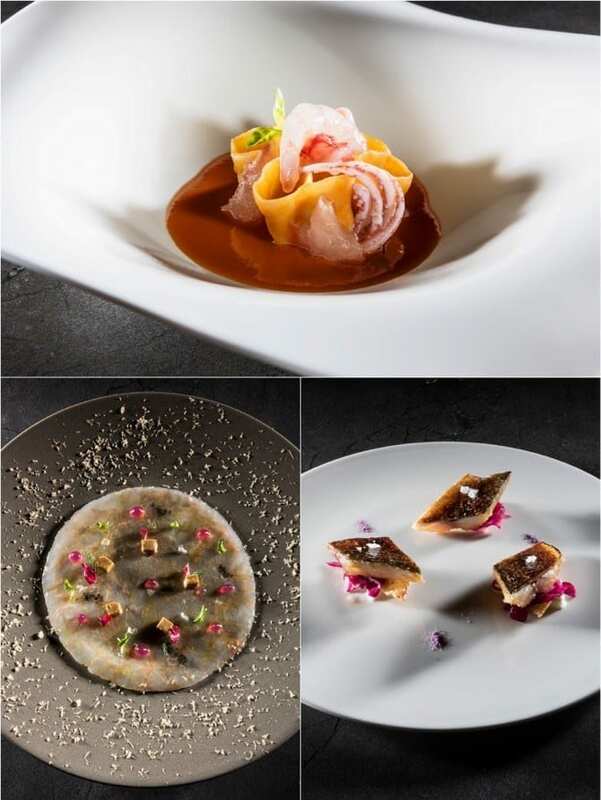 Teaching at Gambero Rosso, a culinary school in Rome and restaurant consulting in Italy and the US completes the 360 degree exposure to his culinary success. Intense drive and personal dreams led him to open his own restaurant in the heart of Rome. Per Me Giulio Terrinoni was born in November of 2015 and soon after, he received a Michelin star after only eleven months of activity. 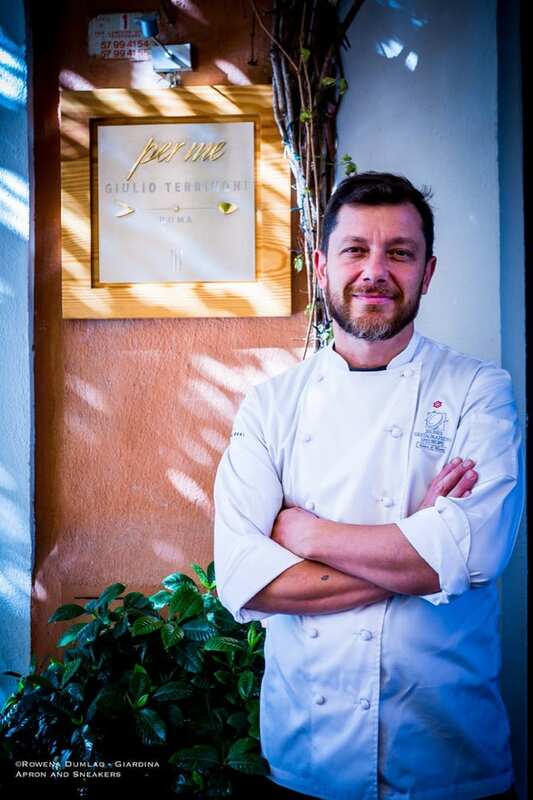 Following the concept that he started at Acquolina Hostaria, his cuisine is leaned towards seafood dishes but with a few insertions of meat proposals in the menu. The seasonal menus are dictated by the change of fresh ingredients. 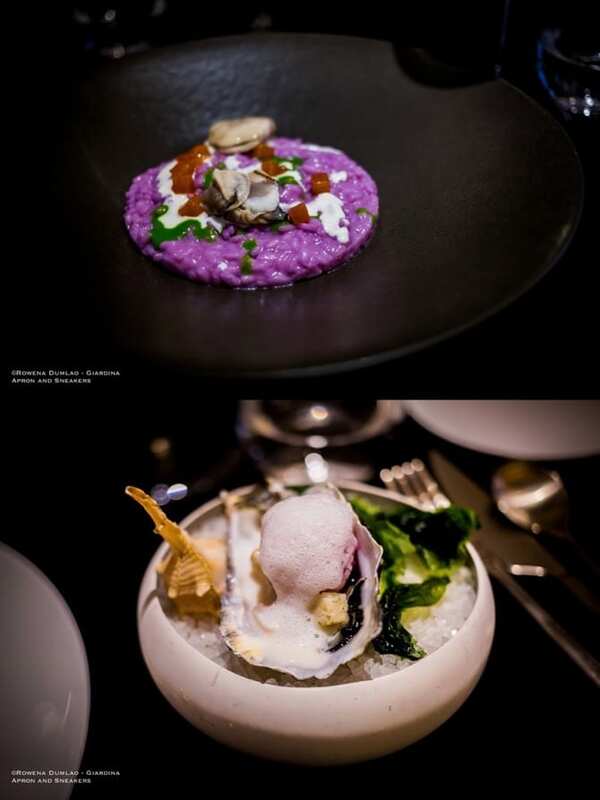 A true artist in the kitchen, Giulio’s creations award his clients’ palates with diversity of impressions yet instilled with the familiarity of flavors enhanced by perfect execution of the plates. To get to know his kitchen profoundly, let him tailor fit your menu at his choosing with the Between Earth and Sea Tasting Menu (€140) of 10 courses then pair them with six glasses of wine (€80) with the selection done by Maître Sommelier Fabrizio Picano from the vast cellar of 500 wine labels coming from the Italian wine regions as well as some of the major wine producing regions of France, Spain, Germany and other countries. 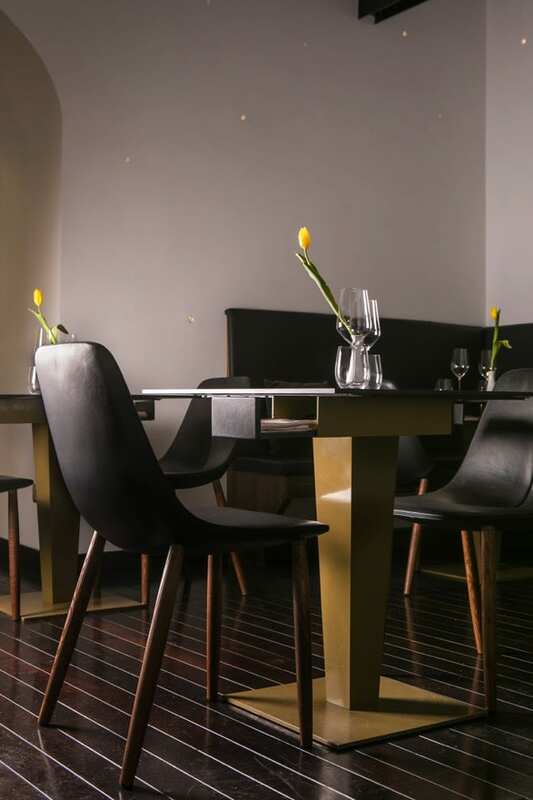 For a smaller tasting menu of four courses of your choice, Sea Rhythms (€80) is a great option and with the addition of the wine pairing of four glasses (€55). 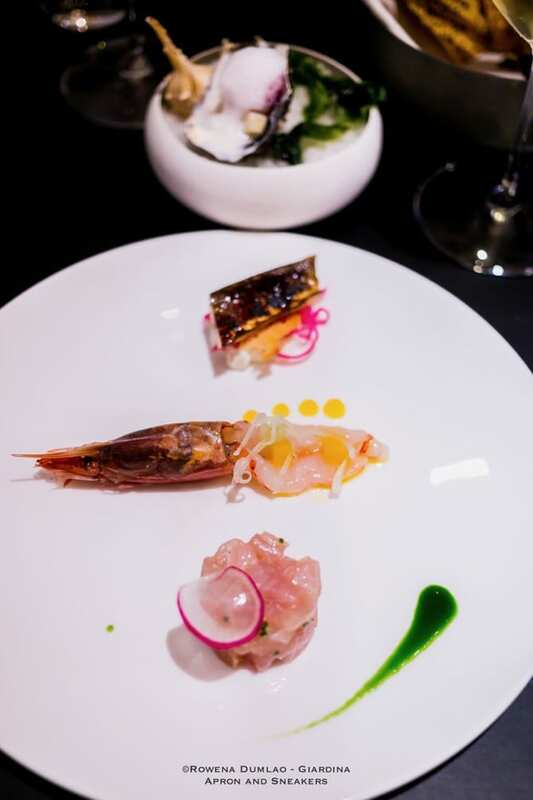 The appetizer entries range from €26 to €30 with the exception of the 12-tasting dishes of raw seafood at €65. The first course of pasta or risotto dishes average at €28 while the main courses of fish and meat are between €40 to €45. The dessert proposals are priced at €18. 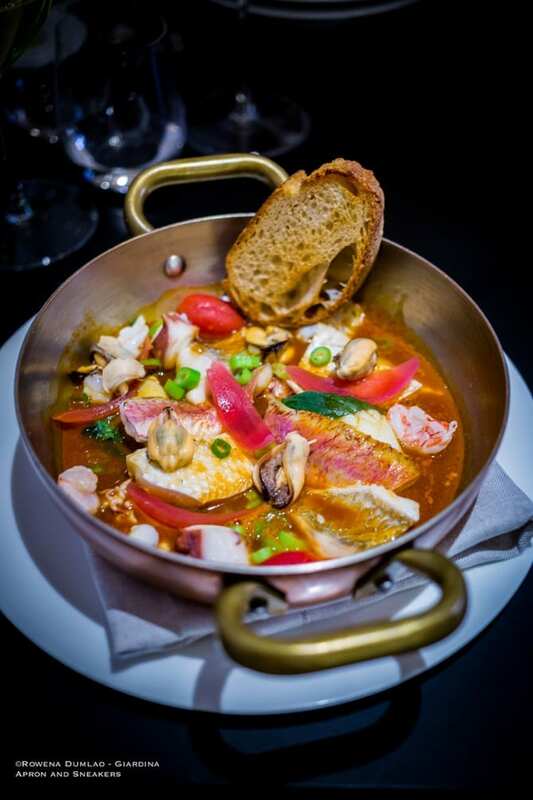 All the entries at the menu are worth trying but the Fish Soup (€45) of molluscs, fish and crustaceans is worth mentioning. It’s impossible to resist doing the scarpetta (Italian way of mopping up the last drops of sauce on the plate) to catch the last drops of the soup.